Priscillas: The Windows Are Up! The windows are UP... And the wreaths are on them! 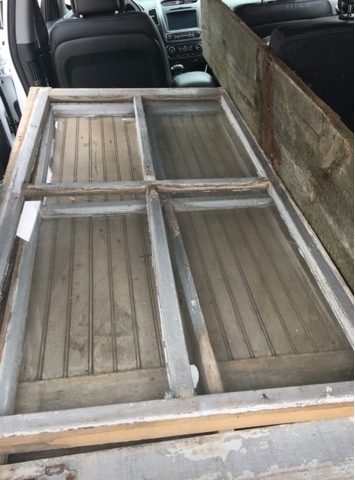 I got these huge vintage windows at a flea market last month..we broke the glass out of them because one of the panes of glass was missing.. it made hanging them on the wall a lot easier ( and thanks to my son in law for doing the hanging) since they lost a lot of weight that way. Love the hardware on the left side.. I might try to find some old crusty hardware at the flea market to attach to the other side! They couldn't be more perfect though in this great grey color since our walls are pale grey..
Lots of "Joy" for me having them on the wall! I got the wreaths at Hobby Lobby .. 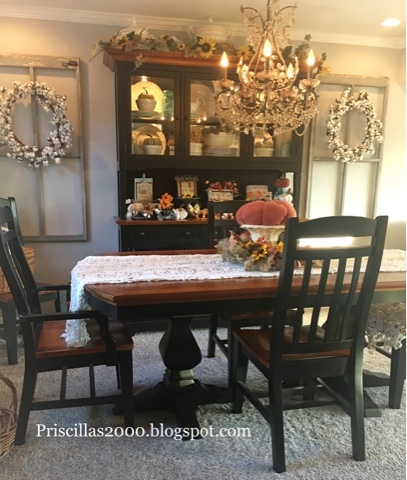 I waited until they were 50% off..I thought the cotton wreaths will be perfect all year round The walls next to the china cabinet were so empty and these windows were just the right size to fill up those areas! Oh, those are just stunning! What a lovely wall addition! And "I spy" your galvanized Autumn 3-tier stand! Have you shown it yet? I always look forward to it! 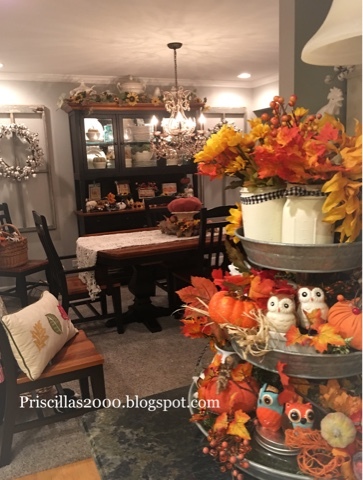 The windows looks perfect on both sides of china cabinet and your dining room is looking very Autumnal:). 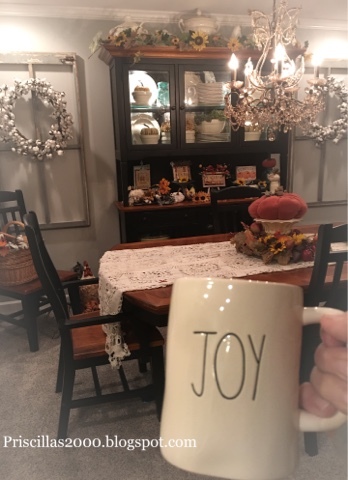 I'd be full of Joy too! 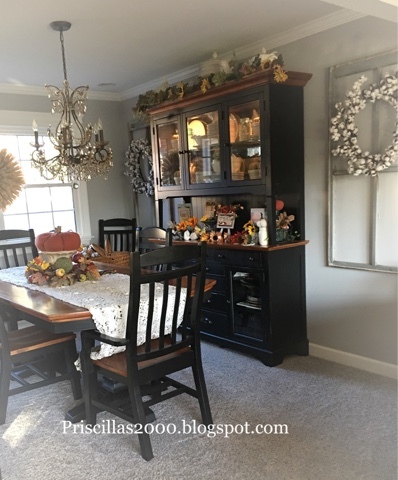 Those windows look like they were custom made for the space next to your china cabinet. They are great! They look like they were meant to be there. 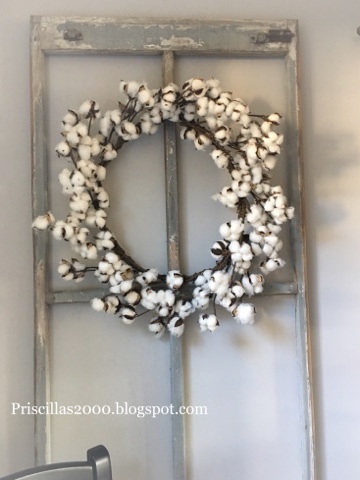 I like the cotton wreaths hanging from the windows as well. Well done, Priscilla! Those windows look great. They really complete the wall.